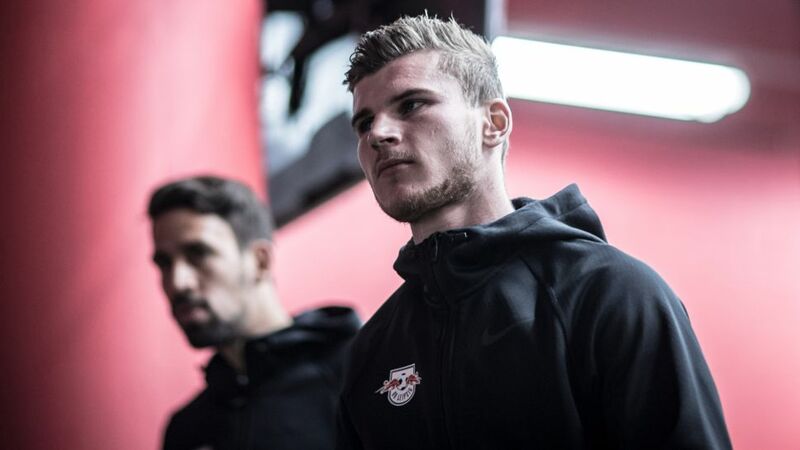 "We've been working hard for this the whole year and today we have achieved something big," RB Leipzig forward Timo Werner said with glee on Saturday evening after full-time at Berlin’s Olympiastadion. Sign Werner to your Official Fantasy Bundesliga team now! Thanks to their 4-1 triumph in the capital, the Bundesliga newcomers secured direct qualification for next season’s UEFA Champions League. Werner has certainly played his part, scoring 19 of the Saxony outfit’s 60 goals – almost a third. The 21-year-old is only the fifth player in Bundesliga history under the age of 22 who has scored at least 19 goals in a season. He joins an exclusive group, since previously only Gerd and Dieter Müller, as well as Klaus Fischer and Werner Weist have managed it. In addition, it has been ten years since a player from a promoted club found the net so frequently in a season - when Theofanis Gekas got 20 for Bochum. Besides that, Werner has already achieved a lot given his age. In 2012/13 at his first professional club, VfB Stuttgart, he was the top scorer in the Bundesliga Süd-Südwest at under-19 level - even though he was still eligible to play for the under-17s. In the following season, the Stuttgart native made his competitive debut for the first team during a Europa League qualifying match. At the age of 17 years, four months and 25 days, he became the youngest ever player to appear in an official game for VfB Stuttgart. Two weeks later, on 17 August 2013, he became the youngest Bundesliga player ever for the Swabians when he appeared as a substitute against Bayer Leverkusen at the age of 17 years and 164 days. And so it went on: youngest Bundesliga goalscorer for VfB, youngest player to score a brace in the Bundesliga, youngest player with 50 Bundesliga appearances. Last summer came the switch from relegated Stuttgart to Leipzig. On a sporting level, the variable and lightning-quick attacker surpassed all expectations. As early as Matchday 5, Werner had snapped the next record: by coming on in the 1-1 draw in Cologne, he became the youngest player to reach 100 Bundesliga appearances. Germany manager Joachim Löw rewarded the forward’s ongoing good performances. In March, only two weeks after his 21st birthday, Werner made his debut for the reigning world champions. He was in the starting line-up in Lukas Podolski’s farewell game - a 1-0 win over England - and in so doing ecame the first Leipzig player to line out for Germany’s senior team. Confederations Cup or U-21 EURO Championship? This raises the question about Werner’s summer activity: to go to the Confederations Cup in Russia with the senior team? Or with the U-21s to Poland, where the European Championship is taking place at the same time? Löw and under-21 coach Stefan Kuntz will announce their squads on 17 May. Before then, however, Werner and his team-mates will face Bundesliga champions Bayern Munich. For Werner, it is a chance to score the first goal for Leipzig against the Bavarians. Given his career path so far, it should surprise no one if he does so. Vote Werner into your Bundesliga Team of the Season now! Click here for more Leipzig news!